A really quite modern BMW 5 Series came in for MOT recently via another garage. 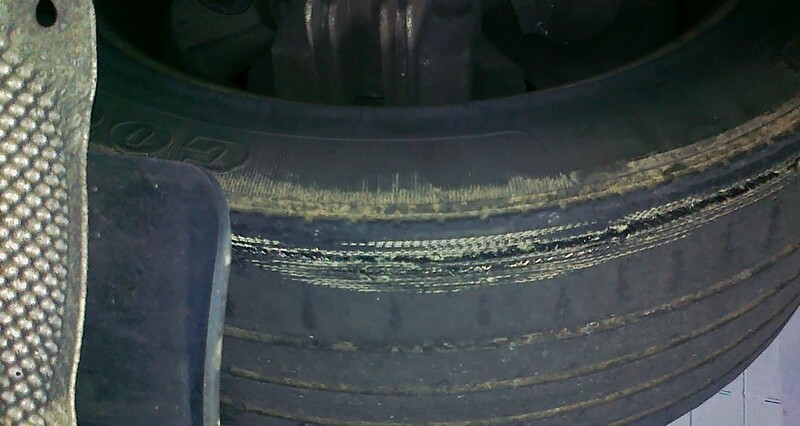 Unsurprisingly it failed on two highly dangerous, if hard to view in normal use, rear tyres, one of which is shown worn down on the inner edge to the shiny metal carcass. The poor owner had no idea her family car was in fact a potential blow-out/accident/prosecution waiting to happen. It just goes to show the very real importance of regular maintenance to keep a car or van safe and also legal. We obviously replaced both rears, issued an MOT Pass and recommended the garage perform a full geometry check for everyone’s sake.